Jeff is a well known vipassana teacher who formerly practised as a Buddhist Monk in Burma with several well known teachers. Currently he teaches often in Turkey, Malaysia, Thailand … leading meditation retreats and sharing dhamma. He’s well known with us in Bangkok. This month we are renewing our Dhamma Activities in Bangkok. But you are receiving this via the old website, which will be discontinued this year. Sign up for updates there – the email notices from this littlebang.wordpress.com site will be discontinued soon. Sunday 22nd July we have a Dhamma Talk with a senior monk from Wat Pah Nanachat – see http://www.littlebang.org for details. We are very glad to welcome Ajahn Viradhammo, one of the most senior Western Abbots in the world, from the lineage of Luang Phor Chah. He is currently abbot of Tisarana Monastery in Ottowa, after serving as abbot (and builder of) Harnham Monastery, Bodhinyanarama NZ, and Amaravati monastery UK. He ordained with Ajahn Chah 38 years ago in the then remote jungles of NE Thailand, where the modern world had yet to make inroads. He lived in the International Forest Temple there for some years before moving to the UK, and then New Zealand. Born in 1947 in Germany to Latvian parents, he was raised in Canada from the age of 5. A former student of Engineering, he set off on travels in 1969, to wind up in Thailand a few years later. Known as the most warm and engaging of the Western Monks, it is with gratitude that Ajahn V. (as he is fondly known) will give us the benefit of his decades of experience. 7:30-8:30 pm Q&A, closing remarks. No need to book – there is plenty of space. But arrive early to get a good seat! Bodhgaya Hall is in the offices of DMG Books, and is used regularly by a large Thai group of meditators. 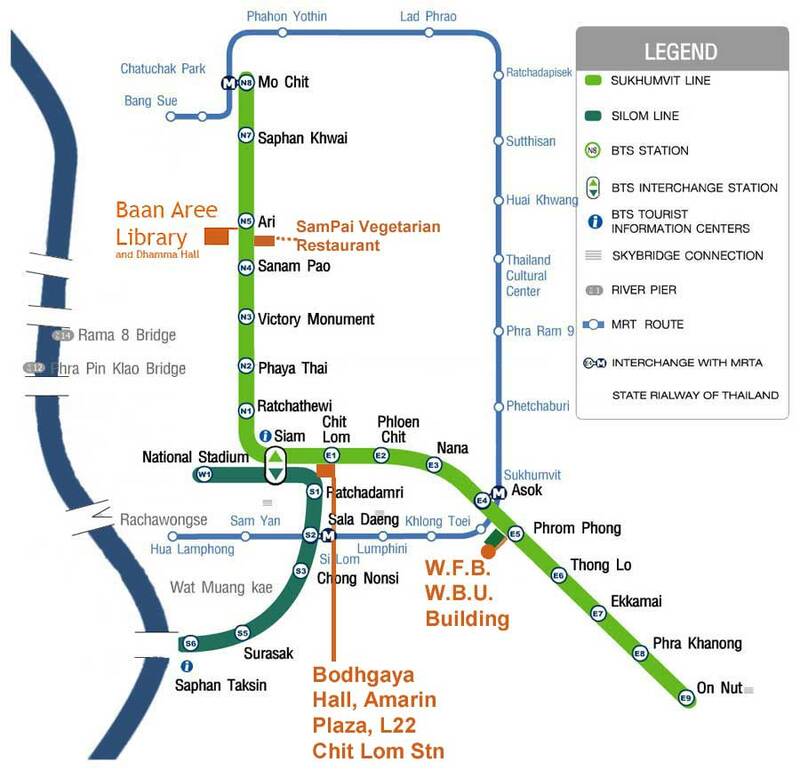 It is an excellent facility, and very convenient on the skytrain line, Chit Lom Station. The Thai group meets there every Tuesday and Wednesday. 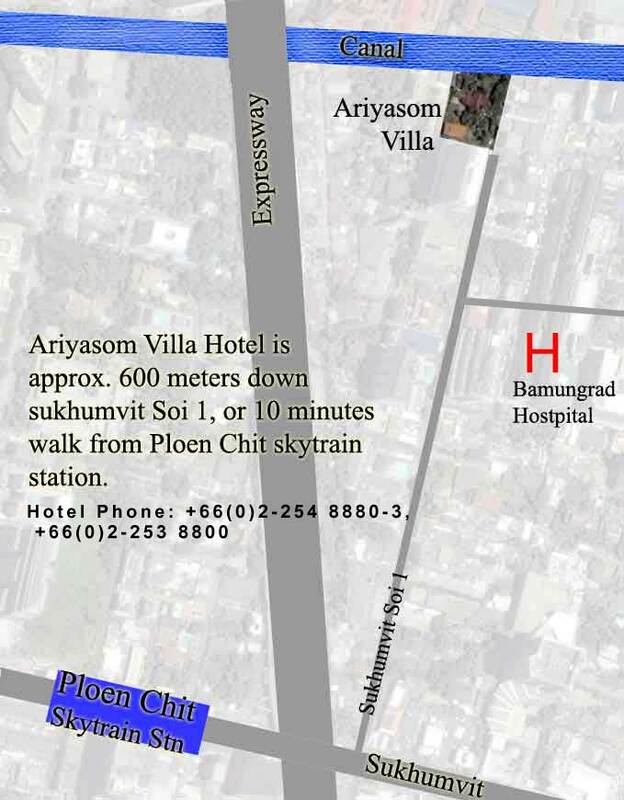 Go to Chit Lom Skytrain Station, and take the short walk to Amarin Tower. From the ground floor, take the lift up to DMG on the 22nd floor. There is a nice coffee shop there, so arrive early for events and meet some of the regulars. You cannot get up to the 22nd floor via the lift in the Amarin plaza itself. You must go to the lifts on the ground floor, to access the office block above the Amarin Plaza. 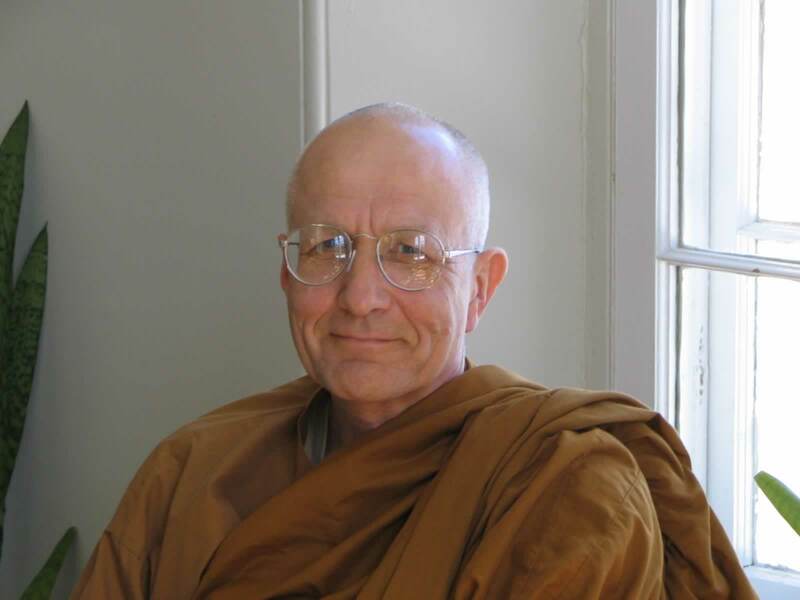 This January we are again honoured with the presence of Ajahn Pasanno, abbot of Wat Abhayagiri in California. 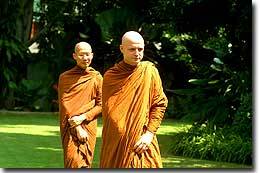 Ajahn Pasanno is the most senior Western disciple of Ajahn Chah, other than the now-retired Ajahn Sumedho. He was formerly the abbot of the International Forest Monastery in the North-East of Thailand for many years before moving to California to head the new temple there. Hailing from Canada, he has a warm and engaging presence, and a wealth of wisdom from his nearly 40 years as a Buddhist Monk. 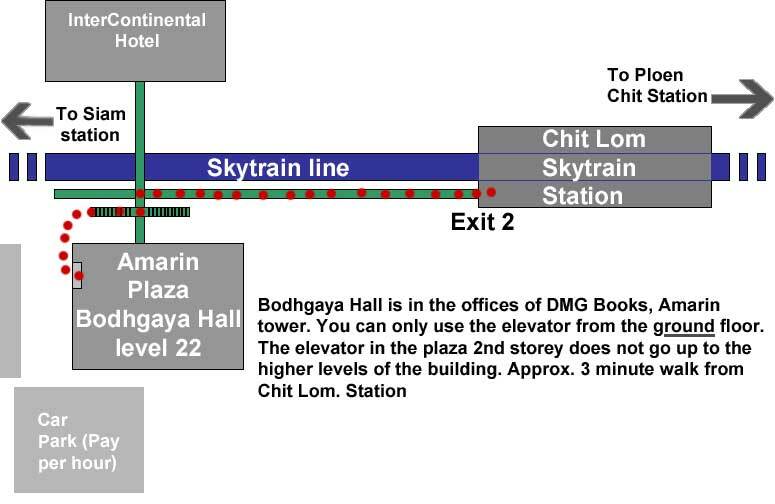 Amarin Tower is close to Chit Lom BTS Station. Time is fast coming to a close to book for our Mountain Retreat. Steven Smith, founder/teacher of Vipassana Hawaii, will be leading things with Mae Chee Brigitte teaching the meditation. A great team! The venue is perfect – up in the cool crisp mountain air, with lots of space, and some free time with a relaxed schedule to soak up the atmosphere. Long time dhamma supporter and practitioner Tom Upson passed away recently, in undisclosed circumstances. It seemed he died in his hotel room some weeks ago. Tom was a beautifully polite man, even by Canadian standards. He gave me a lot of encouragement in the early days of littlebang, and was always supportive and reassuring. Friends with the ‘old crowd’ who used to frequent the WFB monthly talks, and Tony’s Int. Med. Club, his job at the AUA and then abroad meant he had little contact with us in recent years. More lately some ill health (his legs and hips) kept him away. A very unceremonius end to a very well-wishing gentleman. We should all remember not to be complacent, and to make good use of our time, so that we are as prepared as possible when our time comes. After discovering the most perfect, idyllic site imaginable for a meditation retreat, we finally can announce our first Mountain Meditation Retreat. This page will keep updating as we get more of the details confirmed. However, the dates, the venue, and the 2 teachers are set. The retreat is open to experienced and beginners alike. There will be special sessions for any beginners to interact with the teachers as needed. The place is in the mountains behind Chiang Mai, near to Mae Daeng. It is high up, and pretty chilly in the evening. There is plenty of room, with lots of rooms, dorms, corners, balconies and alcoves to pitch your sleeping bag. It is not exactly private rooms, but there is a lot of space (venue can probably sleep over 100 quite easily) for you to get into your zone. Note, there will not be too many of us, and the place is large. It will be free-for-all in finding a nice quiet spot – there are lots of rooms, half rooms nooks etc… There are beds and mats, and also some blankets, but you will need a sleeping bag. It can get chilly at night. Teaching will be Steven Smith and Mae Chee Brigitte – two marvelous meditation teachers. Both are confirmed to be teaching. The style will be Vipassana (insight) meditation based on the Four Foundations of Mindfulness – cultivating mindful recollection in all activity. Mae Chee Brigitte will be leading the meditation sessions, and Steven will be giving most of the talks. Both of them will be available for one-on-one interviews and individual advice as desired. Ven. Pandit will be assisting at times as appropriate. Cost of the retreat is 7000 baht, and your place is booked only after payment. Refunds can be made until 7 days before we leave – after that we will have booked the vans and bought the food already. Last date to book or cancel is Sunday 27th November. On Monday 28th we will be buying the food for you, so please be obliged from that point to pay the retreat fee. To book in please call Pandit Bhikkhu on usual Bkk no. 086 069 4285 – PANDITS AIS Number that works in Chiang Mai or use the booking form below. Evening of 30th November – start the retreat after settling in. Retreat will be fairly relaxed (not a boot camp) with early morning group sitting/walking meditation. Some Tai Chi/Chi kong for mindful movement, and some free time in the afternoon to absorb the Mountain air. Every evening will be a general meeting, meditation and Dhamma talk. December 9th we will break noble silence, and have a BBQ Banquet. Return to Chiang Mai for about 4pm. ~We will serve vegetarian food throughout, with an emphasis on fresh fruit and veg. ~Participants must attend the full retreat – mainly because there is no transport up/down the remote mountain other than by the minivans we organise. ~Interviews with the teachers will be available on request. ~The meditation style will be Vipassana based on breathing and mindfulness, with a strong emphasis on Metta (loving kindness) meditation. You are also free to follow your own meditation method if you wish. All yogis will be asked to observe noble silence (not talking) for the majority of the retreat, and meeting/meditating together at the set times is stipulated. There will therefore be group meditation time, and also time to meditate alone. This Mountain Retreat is too perfect not to use. We are not paying for the venue, however we will be paying quite a few members of staff up there, and a kitchen manager. Also is the cost of the teachers …. Honestly there is no way to guess how much the whole thing will cost in the end. So please understand! We are not out to make a profit, and if there are funds left over (unlikely!) we’ll be glad to reimburse, or use them as offerings to the teachers or other good cause. It could also be that we are short of funds by the end! We will have to see how it goes. Note that a single trip up/down the mountain in the 4w drive costs 500 baht in fuel alone, so we can’t really cater to special dietary needs, nor accept people who are not attending the retreat in full. Steven co-founded Vipassana Hawai’i in 1984 and in 1995 founded the MettaDana Project for educational and medical projects in Burma. Also in 1995 Steven helped establish the Kyaswa Valley Retreat Center in Burma, headed by Sayadaw U Lakkhana, Abbot of Kyaswa Monastery. This partnership helped usher in the beginnings of Vipassana Hawai’i’s Fusion Dhamma approach combining traditional and contemporary teaching styles in the same retreat. Anchored in the Theravadan Buddhist Burmese lineage of Mahasi Sayadaw since 1974, he was trained and sanctioned as a teacher by revered monk and meditation master Sayadaw U Pandita. Steven divides his time teaching Vipassana and the Divine Abodes (loving-kindness, compassion, joy, equanimity) meditation retreats around the world, and assisting Burmese refugee communities along the Thai-Burma border. His long term vision for preserving the Dhamma is culminating in the beginnings of the Hawai’i Insight Meditation Center (HIMC) on the Big Island of Hawai’i’s remote North Kohala coast. He has done a number of talks for us and our Green Papaya siblings in Chiang Mai, and we have loved his personal and compassionate approach to Dhamma. Many of us know and appreciate Mae Chee – she is a wonderful meditation teacher, with a dedicated following. Click here to link to her website, which includes the touching story of how she came to ordain. Mae Chee is a well known meditation teacher, based mostly in Thailand. She is Austrian, and speaks fluent German, English and Thai. Her easy instructions and encouragement to meditate have inspired many people to commit to a meditation practise. She is now based at a temple out past the Suvanabhumi Airport where visitors are welcome to stay (click the image to link to her website). However, due to popular demand she is very often away from the temple teaching meditation at different places, especially around Thailand and Europe. 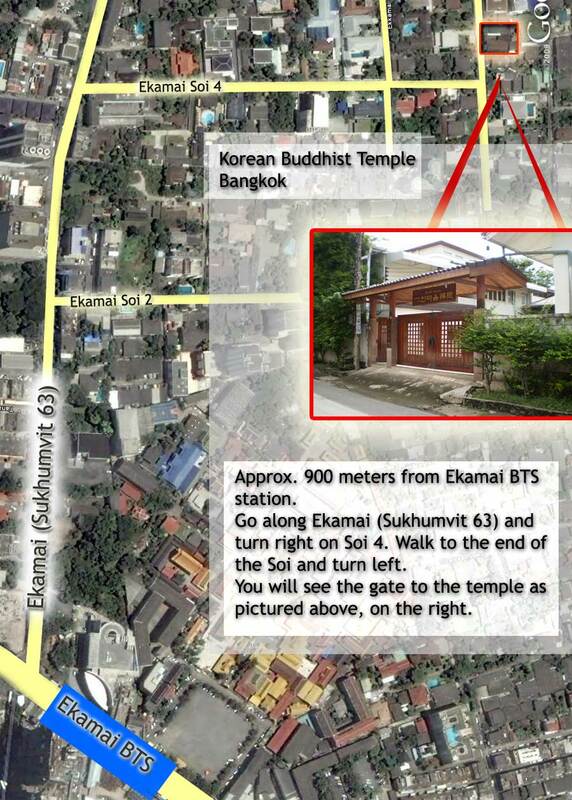 Organiser behind the Little Bangkok Sangha, will be pitching in to help as needed. British-born Bhikkhu of 15 years, and the speaker behind the annual Rainy Season Dhamma Talks, and student of Buddhism, psychology, and Faerie tales. During the retreat we will be spicing things up with a detailed rendition and breakdown of a Faerie Tale – one that includes lots of beautifully expressed Dhamma. He also lost weight since the picture to the left was taken! If you would like to book a place via Bangkok, please give the details requested below. Note, until November replies might be slow …. but we will get back to you for sure. We will take payment after November 6th. Details will be mailed out to those who have applied by the following form. After entering the details you will be returned to this page – don’t worry, the message has gone through! Detailed schedule will go up in November. Any other points missed out? Leave a comment below, and we will fill in any blanks. This will be a GREAT retreat. Perfect place/time/weather, with space, countryside and some great teachers. It does not get any better than this! it was inevitable really …. but we had to cancel this talk. We will reschedule and be back next year. If you want to be put on the email list for big events (3 or 4o times a year) including A. Jayasaro, head over to the CONTACT page and let us know. We are happy to announce an audience with Ajahn Jayasaro on Thursday November 10th, at the Buddhadasa Indapanno Archives, near Mor Chit. Last time we hosted Ajahn Jayasaro it was our largest event yet! Be sure to get there early for a good seat! Buddhism famously does not encourage blind faith. But you must research, test, and use all your intelligence and wisdom. But that is not to say that you can just follow your own beliefs – there are layers and layers of discovery on the path to enlightenment for those who are willing to put aside their own belief systems, and turn the mind inward and look directly, in order to find out for yourself. A google earth snapshot – click it to enlarge. There will be no Dhamma Talk at the WFB for the first Sunday of the month during November. It has been cancelled in favour of the celebrations for the H.M. King’s birthday. We just had another one of our Tai Pan events – where we lunch and then rent a room for viewing video and discussion. We have done this before on different topics – previous one was Osho, but also Eckhart Tolle, Life of Brian, Consciousness and others. This format provides a nice change from the usual speaker/audience style of Dhamma talks. This time round the topic was creativity. Once you are being creative, does this take you away from creativity? What is the goal of both? There were about 25 of us for lunch, and 35 upstairs for the discussion. Here below are some of the videos we looked at (some are copyrighted and so can’t be posted up). First up, a great talk by Elizabeth Gilbert: She raises many great points, but one we focussed on was the link between anguish and creativity – it seems the truly creative geniuses are tormented souls. There certainly is some kind of link, though we thought (and later showed) examples of happy people being creative also. Second up, another TED talk by Amy Tan: We picked up on the ‘something out of nothing’ statement she makes; does it relate to Pandit’s view that emptiness/stillness is the source of creativity, and trying to get back to that moment of harmony, for a few moments, by arranging a medium in the world, is Art. If right, then Art is doomed to fail every time until Enlightenment. It’s just a half-formed idea! Not everyone agreed. She mentions that ‘place of balance’ (harmony) but that there is ‘uncertainty in everything’ – which is similar to the idea that Art is an imperfect attempt at getting back to that stillness. (if this is correct, there is a catch, that any expression is by it’s nature, not still). She also mentioned that Art could be ‘working stuff out’ (is thinking an evolved form of dream? ), somewhere between serendipity and nightmare. Now on to a pure example. Quite stunning showing of a world torn apart by World War II, in sand. The remarkable thing here, is the expression is the goal – the piece is not ‘frozen’ on the canvas (ok, so there is a video….). Here’s a tip when watching YouTubes. 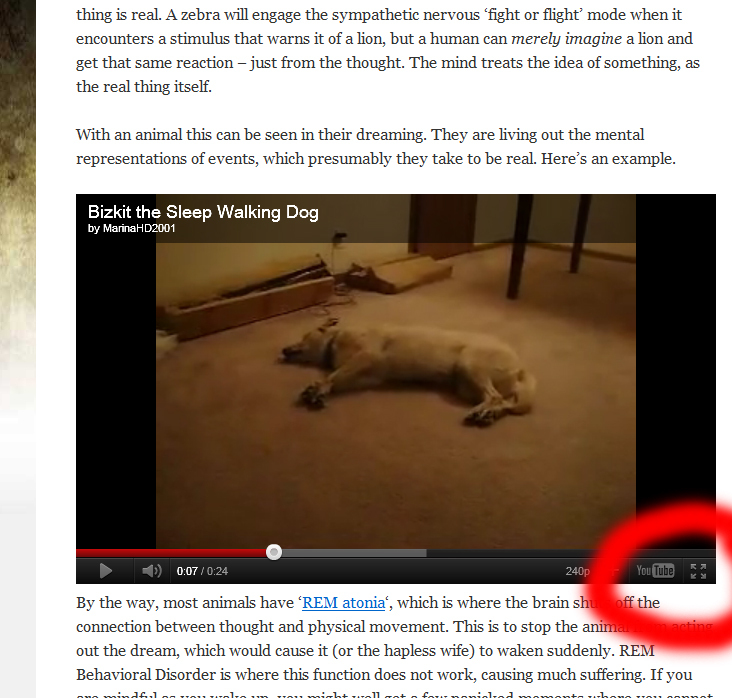 Click on the YouTube icon to stop downloading the video you are watching, and open it in Youtube instead. This is great for finding related videos – for instance, try it on the above video and you link to many more similar scenes by the same girl. Click the image to enlarge it. We also looked at a great video of a very tormented guy who just wanted to SING, but the little bald man in the house kept on preventing him. How does he overcome adversity, and fulfill his urge to sing? You had to be there. (copyrighted). We were a bit nervous shoeing this one – but everyone loved it! Back to the cyclist – some more videos we did not get time for explore the relationship between anguish, stress and ‘The Flow’, in a very interesting way. Dr Robert Sapolsky is another we did not get round to – but he has some interesting things to say on the effect of stress on the human body, and by extension, mind. He also raises the research showing that the ‘high’ that can be experienced by performers and athletes might actually just be a drug hit – stress the body in the right way for the right period, and you will get a sudden hit of beta-endorphins creating “a wonderful, gauzy sense of well being”. It is a drug high. Also not enough time for Susan Greenfield in one of her excellent video’s on the human brain, where she seems to claim that creativity (and also ‘mystical’ experiences) might actually be brain-damage. His talk seemed congruous with our little group; but then Cleese is known to have strong Buddhist leanings. Finally we looked at ‘Where good ideas come from’, which go us onto the topic of what is created – nothing is truly new, but just a representation of the old. It is old ideas coming together in a new way – does the internet help this? For the first time since mass media took control of our world (in the days of story telling media was much more interactive) the internet is allowing for a truly global sharing of ideas and experience. Now that anyone can edit a movie, a song, or be a graphic designer, Creativity should be on the rise. There’s much more to do on this topic – round two anyone? Or should we shelve it for a while and pick a new topic? A couple of suggestions – Buddhism and Relationships: why do Buddhists (reportedly) have a high divorce rate in the West? What has a tradition of renunciate monks have to offer those in relationships? Or Buddhism and Family life – should you teach your kids meditation? How much time should a meditator spend away from their family on retreats, or off in a room somewhere meditating? We have also done some full length movies, that have an interesting theme. Suggestions welcome (except for The Matrix). Can be documentary or fiction. Every year during the Rainy season monks and nuns are not supposed to travel. They stay in their temples and usually undergo extra activities as a group – usually scholarly. Many Thai people will join the temple for this period, or undergo a special vow such as staying off alcohol, or other behaviours. So each year we have a Dhamma Talk Series at this time. Those who make the effort and join every week say it is a special period (but often don’t show up the next year!). Actually, it is nice – to make the effort, to go along, to bring the topic to mind. Too many people like the idea of meditation, or Buddhism, but don’t do anything about it. Or it turns into an intellectual pursuit – especially once you have learned the key concepts and think you know it now. You really have to join up with others to make it important to yourself. That is why the monk’s have a whole book devoted to rules and regulations governing their 2 weekly ‘Patimokkha’ meetings – known in Thailand as ‘Wan Phra’. The monks were obliged to meet with each other every 14 or 15 days in a mandatory group gathering. Talks topics were based around the idea of Emptiness. Any suggestions for next year’s theme? The first year we did this was at Baan Aree, then at Wat Yannawa, California WOW, Pharmaceutical Association, and finally at the Dance Centre. Each year gets a little more organised, though there is only so far it can be taken as a one-man-show without the support of a temple and wider Sangha or organisation. 2011 was nice. Everything went quite well, due mostly to the very generous provision of the spacious and convenient Dance Centre. Sadhu! to the Dance Centre owners for their unstinting support and use of the facilities. It is a real privilege to have a large space like that on Sukhumvit. The talks were recorded with our brand new Canon cam-corder. This thing has a 3.5 hour battery, so will be great for recording talks in the future, once the video editing software has been mastered. Videos will be posted up next year. The announcement/details webpage for the talks was looked at 1601 times, not including hits from 109 subscribers (which is those who are on email notices of new posts) – this is up from 1400 hits from last year’s page. Median number of attendees was 75, which is also up slightly from last year. Thanks to K. Wirat for managing the door for us every week. Such capable help, while not a huge job, is very much appreciated, as it takes pressure off the speaker who is also trying to attend to so many details. Total attendees 620. That averages out to 58 baht/person/attendance. Donations increase if the topic is mentioned – which accounts for the variance. But of course, the goal is not to make gain! During these talks there are lots of people, but on smaller events when we invite outside speakers, please remember to be generous. Usually the speaker is staying in a hotel for a few days to give talks for us, so we must do our part in supporting them. This year the cost of putting on the talks was 18 400 baht, plus 300 baht/week paying for the monk’s taxi. Of the 18 400 baht most of it went on the video camera, which cost 9 400 baht; but which hopefully will be a useful resource for us from now on. There was a 2 000 baht special donation given to us to put towards the camera cost also. 2,400 baht was spent on the pickup truck which collected and returned all the chairs (which we had borrowed rent free), mats and sound system. Some more was spent on transport and costs of the PR, such as laminating, and distributing leaflets. Printing was sponsored by our friends at Soontorn film (normal cost would have been 9000 baht for printing). Also during this period we put 1,150 towards one of our speakers Steven, and 2000 baht in donations to Bhikkhuni Ani Zamba who had significantly increased costs on her air ticket in order to spend some time with us in Bangkok. Fortunately, there was a special 8,000 baht donation to her on the last day, so it did not end up costing her to come and share Dhamma in Bangkok for us. Total funds remaining then, after this year’s Series is 15,679 baht. This we will use through the year in extra donations to visiting speakers when there are not enough in donations to cover their expenses in being here. Hopefully the topics were clear. Of course some people like a personal approach, others want technical stuff. Some have a good background in Buddhism, some have none – so it is never easy trying to cater to everyone. But at the same time if there are suggestions for improving anything from the sound system, topics, format … or anything else feel free to leave a comment below or to contact privately via the contact page. Hope this email finds all of you in peace and in wellness. Everybody is welcome to join the reading and discussions! Date & Time : October 9th, 2554 (2011) 12:00 – 13.30 : P.M.
Former Member of Parliament (MP),UbonratchataniProvince. Former Producer and Host of Radio Program, Dhamma from the songs and Dhamma Discourse, 107 F.M. Radio for 5 years. Master and Doctoral Level in the fields of Public Administration and Dhamma Communication,MahachulalongkornRajavidhyaklayaUniversity. Pali 4th grade, Wat Mahatat,Bangkok. Method for mindfulness development, mindfulness in Satipattan, in Tisikkha and in Noble Eightfold path, the path to enlightenment. For more information, please call 02-258-0369-73 Fax : 02-258-0372. Note : After Buddhist Forum, Time 14.00 – 16.30 Dynamic Meditation will be started by Bhikkhu Charles Nirodho. 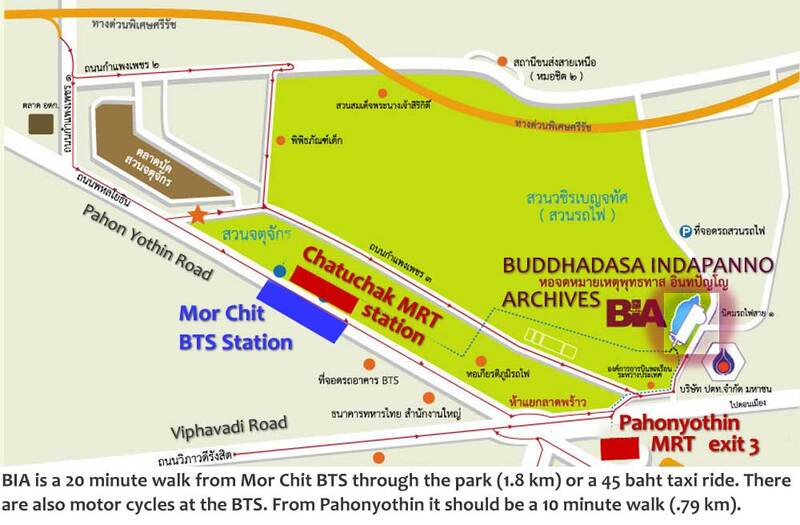 received information as follows – this is not organised by Little Bangkok Sangha, so it pays to double check the information with the organisation. However, it is pretty certain that the WFB will hold a session every first Sunday of the month. After a very well received one-day workshop in Jan 2010 and open meditation session in Feb 2011, Mae Chee Brigitte will be back in Bangkok to lead the monthly afternoon workshop at the WFB headquarters, near to the Emporium. 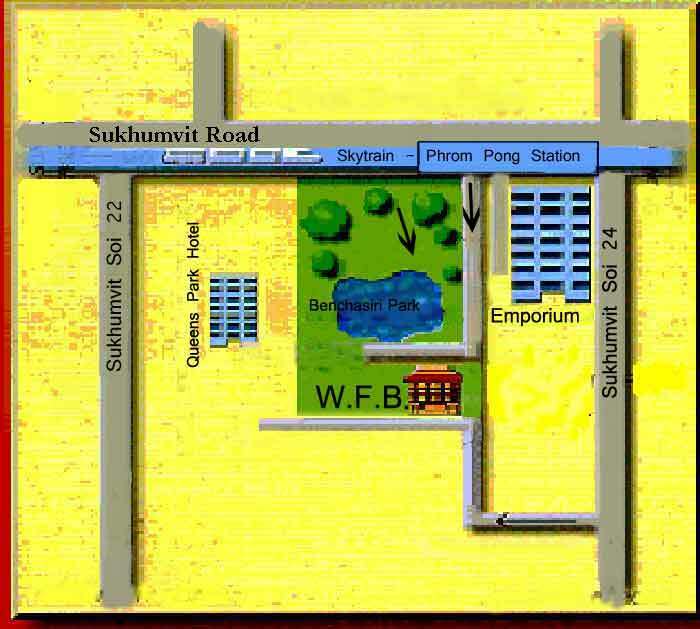 Meeting Room, the World Fellowship of Buddhists (WFB) Headquarters Bldg., in Benjasiri Park, Sukhumvit 24, Bangkok, Time : All are welcome to join the programme free of charge. Notes on ‘Shut Up and Dance‘ – eighth and final dhamma talk in the 2011 Dhamma Talk Series: The Dance of Emptiness. Talks kindly hosted by the Dance Centre, School of Performing Arts, Sukhumvit 24, Bangkok. Below are notes, quotes, links – in case anyone who listened to the talk would like to follow up on any of the topics. It is not a transcript of the whole talk. The video will become available one day, when we get the hang of video editing software…. Finishing off this year’s dhamma talk series with stillness as a methodology. The entry point is Cessation – the overlooked but pivotal 3rd Noble Truth of Buddhism. Developed, you move into the silence between thoughts, the space between the breaths. As everything is emptied out, you experience the wholeness of Complete Emptiness, of meditational rapture. This is the last talk in this year’s dhamma talk series – all that effort, months of planning, printing, taxiing around town, attention to details: The talks are the easy part! So the last topic is to sum up. And to give some indication on why we should ’empty out’ at all! Of what value is Emptiness anyway? So we return to the continual theme that we began with each week – the conceptual world. Coincidentally a few days before the talk there was a quite stunning new experiment completed by psychologists in mapping the imagary of the brain. Although blurred the reconstructed images bear a remarkable resemblence to the footage that the person is watching. There is a more detailed description of the experiment here. The really interesting thing for our perspective is that the occipital lobe in fact ‘lights up’ in exactly the same way when the subject is imagining something as when they are seeing directly. The brain can hardly tell the difference between a real sensory input, and one that is imagined. The mind literally re-sentiments its thoughts – it adds in the way that it feels and perceives even if it is only a thought. This is the origin of the word ‘resentment’ by the way. The classic example is if someone insults you. They only do it once, but yo repeat that insult to yourself a hundred times. Each time you are ‘re-sentimenting’ the feelings. The brain finds it very hard to tell what is thought up (conceptual) and what is direct experience. When you are young you don’t know that things exist, but when you are experiencing them. After a while, you gain the sense that just because something is not directly in front of your eyes or ears, it is still there. You build up a concept, such as ‘mother’, ‘toybox’, ‘hot radiator’ etc.. AS you go on, more and more concepts are added, until you don’t really see what is real anymore, you see what you ‘expect’ (=constructs). Language is a good example. Babies can recognize hundreds of different sounds, but by 2 years, they break sounds up into the sounds and syllables that they have learned. Then it is hard to hear all the Chinese aspirated ‘z’ sounds etc.. You see your memory, you organise data into what you have learned before. Here is a theory – not Buddhism, but related to this topic. A few weeks previously we looked at a dreaming dog. You can see it acting out its dreams. We know that dreaming helps to ‘work things out’ from daily life. It seems animals do this also, judging from the above dog. Could it be that humans have evolved this ability by bringing it into the waking world? When we ‘think’ could this be a highly evolved form of dreaming? We know that evolution never invents new things, but just adapts the old to new uses. Compare to a monkey – they have a high degree of ‘insight learning’. They can watch or do something and learn quickly. But only a human can look at a problem and re-enact various solutions in our heads, and then make the course of action. The problem is, these thousands of concepts of the constructed world can never be harmonised. While the mind counts its constructs as real, it cannot be at peace. This is what we are continually trying to do. Bring this vast conceptual world into somekind of harmony, some kind of peace. But there are too many parts, one of which is your ‘self’ which you defend. If your constructs are reasonably operational, then you get by ok. If they are delusional or neurotic, you have more problems. Trying to bring about this harmonisation is, and you might disagree, ART. Trying to just capture that moment, that thought, that feeling – when in fact it is too fleeting! The mind jumps about so fast, that any kind of solidity is only a notion. ART is trying to pin something down. Put it in its place and rest. In part of our attempts at harmonising the world, we get caught up in stories – going over old ground, old conversations, future conversations (that will be nothing like we planned anyway). You can see this – take a look in an airport, bus station or busy street :- you can literally see people’s faces caught up in their stories. Why all this obsessive thinking? Why can’t we just sit and munch or lie in the sun like animals do? Anyone who has practised mindfulness will know just how much time is wasted thinking thinking thinking our endless stories. The sampling process, where the attention sticks with one thing at a time, has a number of properties. First, when you give up the conceptual world for mindfulness, you see this sampling process as it is. First you think of one thing, then it is gone. Then you hear something and you forget about what you were thinking of. Then you feel a physical feeling etc…. the mind jumps from one thing to the next. Even ‘seeing’ – you see one thing in the room, you are not noticing the colour of the ceiling. The mind holds one thing at a time in attention. This means that the process is one of continual renewal. And that is great news. Because if you had to give up all your greed to get enlightened, you could not do it. If you had to eradicate desire/aversion/delusion – you could not do it. Try to empty all the attachments out of your life – impossible. But even trying that, is just more fettling with the conceptual world. If you watch the sampling process stop, for just an instant, the whole edifice of the conceptual world comes down. This is what Buddhism called – cutting off at the root. Of course, things quickly return to normal. But bit by bit, you get a sense that there is a different way of being. That consciousness does not end when it is empty, but to the contrary, it is quite beautiful. Watch the gaps in the Sampling process. When one topic leaves the consciousness, there is often a pause before the next thing grabs your attention. If there is nothing particular coming into attention, you often look around for something to think about, something to engage with. Don’t. Let the sampling cease for a moment. Pay attention to the cessation, to the ending. This will give you a lot of power – you know that nothing but nothing is going to stay in your attention. The more you watch cessation, the more the real insight into impermanence will grow. Cracks appear in all kinds of activities – cracks in the conceptual world, which is still real so far as it goes, but there are spaces opening up everywhere. As your identity goes towards the space, and less to the content, your relationship to the world changes. The ‘self’, which we might (wrongly) call the ego, is not so important anymore. It will still go about its habits in the way that you have trained it. Even if you become enlightened on the spot, your character will still keep functioning the way it is accustomed to. If you were cantankerous before, the ‘self’ still will be. If you were patient before, you will be still. The character is like a karmic wind-up toy, that will keep rolling according to its mechanism. Meanwhile, you are spending more time with the silence. Your home is when the conceptual world has ceased. You still have to work at it though. And to rest in the silence, you have to stop thinking. It is something of a controversial issue – because most Vipassana teachers tell you that you leave thinking to carry on, just don’t engage. This is kind of right – but to get to the silence, the cessation, then thinking will have to stop. The point is that you can’t make it stop, because the making is another form of thinking. You have to let it stop. But anywhich way you cut it, it will have to stop. You can’t let thinking run along forever. The stronger your mindfulness, the more the mind will come together naturally. One sutta, called the Dvedavitakka Sutta, talks on this topic of stopping thought. In short, the Buddha describes how he looked at thinking. He split it into 2 groups – wholesome (skillful) and unwholesome (unskillful). “As I noticed that it leads to my own affliction, it subsided. As I noticed that it leads to the affliction of others… to the affliction of both… it obstructs discernment, promotes vexation, & does not lead to Unbinding, it subsided. Whenever thinking imbued with harmfulness had arisen, I simply abandoned it, destroyed it, dispelled it, wiped it out of existence. On the unwholesome side he put thoughts of greed, ill-will and violence (harmfulness). On the opposite side he put renunciation, non-ill-will, and non-violence (the famous ahimsa that Gandhi taught). The unwholesome side, he reasoned, afflicts oneself and others, leads to ignorance, and not to nibbana. On realising this, he ceased from all unwholesome thought. The wholesome thought, one can think on all day long without blame. It does not afflict onself or others, leads to wisdom and is part of the path to nibbana. BUT, if you were to think on this for long, the body becomes tired, and the brain becomes scattered, and there is no concentration. When he realised this, the wholesome thought stopped also. When the body is tired, the mind is disturbed; and a disturbed mind is far from concentration.’ So I steadied my mind right within, settled, unified, & concentrated it. Why is that? So that my mind would not be disturbed. It is pretty clear then, that thinking has to stop. Just not be brute force and ignorance, but by wisdom. Now that the mind is silent and empty. What is the use? 1. Your intelligence is still there. One aspect that critics level against meditation is that you are giving up your rational thought. This makes you stupid, and prone to being misled. Many people really worship their thinking, learning, studying… (yet you can still do these things and be a meditator). Now, there are two kinds of memory – the declaritive, which is recalling what day it is, when your doctors appointment is for and such. Items you fish out of your mind for consideration. Some degenerative diseases like Alzheimer’s deplete this system. It becomes hard to make new memories, or to fish out old memories. The most famous case was a man called HM (not HP as wrongly stated in the talk), who had his hippocampus removed as an extreme measure in treating epilepsy. He could not make new memories, but he could still act in the world – he could still speak for instance. In our case, when the mind is empty, you still have all your procedural intelligence with you. In fact, emptiness fosters increased wisdom as you are not being driven by attachment. 2. Emptiness is healing. Everything starts to unwind itself. Rather like Lao Tse said – who can make muddied water clear? But leave the clear water will present itself if you stop stirring up mud. As noted earlier, the character might take some time to change externally, but inwardly you can tell right away, that harmonisation. 3. Confidence. Whatever Enlightenment is, it cannot be another concept, it cannot be more mind fabricated states of being. When the heart empties of concepts, and you are with Emptiness, then you know for sure what direction the goal is. The harmonisation points to it, the insights into the regular ‘world’ point to it, cessation points to it. There are many weird practises in Buddhism. mantra recitations, complex visualisations, secret ‘higher’ teachings … In fact in Theravada Buddhism – the Way of the Elders which is the closest to original Buddhism we know, there are no secrets. The teachings were all laid out for anyone to follow. They go all the way to Enlightenment. Nothing else is necessary. And as you sit with emptiness, you know for yourself, even if you were the last meditator in the world, what you have to do. There is no more need for books, gurus, vizualisations, breath counting, noting … all these are ok practises to hold on to as you empty out. But eventually they have to be let go of. There is no practise as perfect as the pristine mind. No one likes to read things on the computer. The look and feel of a book, the interaction with the pages … who would take a screen over that? BUT, when you get a tablet computer or a Kindle reader things change – they are so nice to read on. You can set the font size and line spacing, set the brightness, use the instant dictionary (which is very handy if you are not a native English speaker). And you can carry 1000’s of books around with you to pick from, including comics (gotto love Asterix! ), magazines and books. The tablet is easier to hold, requires no effort keeping the pages open, and sits nicely on your lap. This is why ebooks are now outselling their paper counterparts. Even paper aficionado Ajahn Jayasaro says he’s converted to ebooks! Ebooks come as PDF files – this is the old system that is being outdated now. Especially academic topics like architecture, psychology, biology, medicine – vast resources are available for free. Newer formats mostly center around .epub and .mobi – though there are lots of other formats; sometimes called the Tower of E-babel. Unless you have specialist reasons, you don’t need to look at any other formats of ebook. Though apparently .txt files are welcome in Bangkwang! This enormous resource – the biggest web presence for Buddhism in the world, is run almost single-handedly by Ajahn Pannyavaro. Please consider a donation when he comes to Thailand as there are many costs involved in maintaining this kind of website. Note that you can select from the left hand side if you want to search only for free books, or include paid sites also. It can link you to many specialist sites such as the British Medical Institute. Most of the titles are rather old, so you won’t find the latest Tina Fey book here. But you can browse by topic and find some incredible titles. Fabulous. Be sure to click on Ebook Format on the right hand side to pick what format you want to use. http://www.sacred-texts.com/index.htm – mindboggling – you could spend a lifetime with just this site! *Mobile Read Forums has a lot of free books slightly more from the modern era. You can search for particular books here, but best is to browse through and see what they have. http://www.filecrop.com/ Use this one for searching, not browsing. *Free Book Spot is simply awesome. Browse by the genres on the right hand side of the window: http://www.freebookspot.es/Default.aspx although again it can take a while to get the hang of how to download. In short, if you are after modern new titles, Amazon and such places are always going to be quick and easy, with safe payment methods. However, there is a huge amount of free and specialist resources – you could spend a month just browsing the above sites! But be warned, you can find yourself spending more time looking for good books to read, than actually reading them! Also note that a lot of sites actually sell books that are legally available for free download from other places. Any other good ebook sources? Do leave a comment if you know any. Meditation, talk, and tonglen practice with Tsewong Rinpoche, followed by a long-life blessing ceremony. At the the very heart of Mahayana Buddhism is the method of Tong-Len, the practice of Taking and Sending. What we take in, is the negativity, karma and suffering of other sentient beings, and we give out peace, freedom from suffering and positive qualities of all kinds. Surprisingly, instead of this being “toxic” or dangerous for the meditator, it is deeply healing. It clears vast oceans of our own negative karma and helps develop a deep sense of compassion, while freeing us from anxiety and pessimism. It is the ultimate portable practice, useful everywhere in daily life. Tsewong Rinpoche will lead us in a concise explanation and meditation practice of Tong-Len. Long Life Blessing Additionally, Tsewong Rinpoche will transmit the long-life blessing of Red Vajrasattva. Tsewong Sitar Rinpoche is a master of the Nyingma tradition of Tibetan Buddhism, trained in the Ngakpa traditions since early childhood. He has had 11 teachers, and has spent over 20 years in solitary retreat. Rinpoche had the great fortune to meet the renowned Treasure revealer and meditation master, Pegyal Lingpa. From this enlightened yogi of the non-monastic lineage, he received the entire cycle of empowerments, transmissions and teachings of the five volumes of his treasure, the Kusum Gongdu (the Three Kayas of the Guru’s Mind). PeGyal Lingpa became Rinpoche’s teacher, confirming in writing his reincarnation from Nubchen Rinpoche. On PeGyal Rinpoche’s passing, Rinpoche became his successor and lineage holder, as confirmed by Kyentse Rinpoche and DoDrup Chen. It’s been a long time coming; this Saturday 1st October we’ll be taking an open look at the topic of Meditation and Creativity. A ‘Meet and Eat’ afternoon – meet for lunch and chat. After lunch we move up to the meeting room for discussion on Creativity and Meditation – as inspired by a number of video clips. The idea is a more open discussion than one-way dhamma talks. It’s a nice way to meet some of the other faces and regulars – you know there are lots of interesting peoplewho have been into all kinds of things…..
You are welcome to come just for lunch, for just the video’s and discussion, or both. Everyone is welcome – don’t worry that you don’t know anyone personally.. The Tai Pan has its famous 250 baht Buffet which has lots of choice – soup, bread, big salad bar, order-your-own-pizza, and the usual rice/curries. Arrive anytime between 11-12 am. Be sure to pay with the group as we’ll get a 10% discount, which will go to the meeting room hire. Straight after lunch we go up to the meeting room on level 5 for a series of short video’s to get the topic started. Lined up are a couple of the brilliant TED talks, of about 20 minutes each, on creativity, and a few other interesting shorts to get the argumentative juices flowing. Meditation is ‘just watching’, or is making the mind still on an object. At first glance this should stifle creativity. You are disengaging from the mental processes! Or does disengaging from conscious mental processes open up the unconscious creativity? 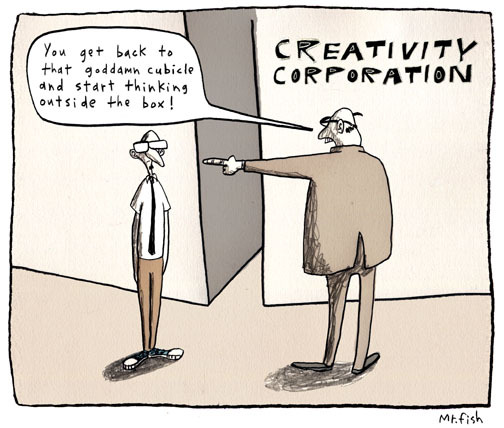 Where does creativity come from? Could it be the still point in the heart of consciousness? 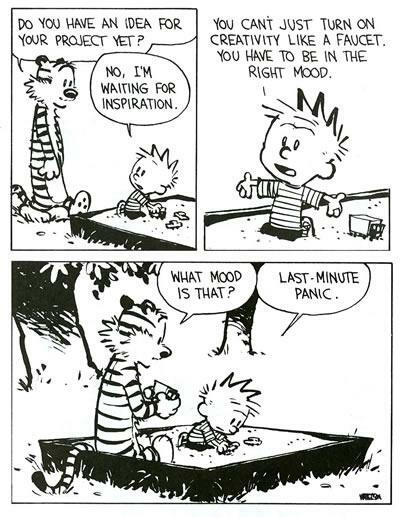 In which case should you stop the mind, or engage the creative process? Music, Art, Dance – none of these were allowed to Buddhist monks – are they a hindrance to the practise? Lunch is 250 baht – but if you pay through the group we should get a 10% discount which we can put to the room hire cost. Hire charge for the meeting room is 2500 baht total, including projector. Please help chip in to cover this cost! Goto Asoke BTS or Underground line. 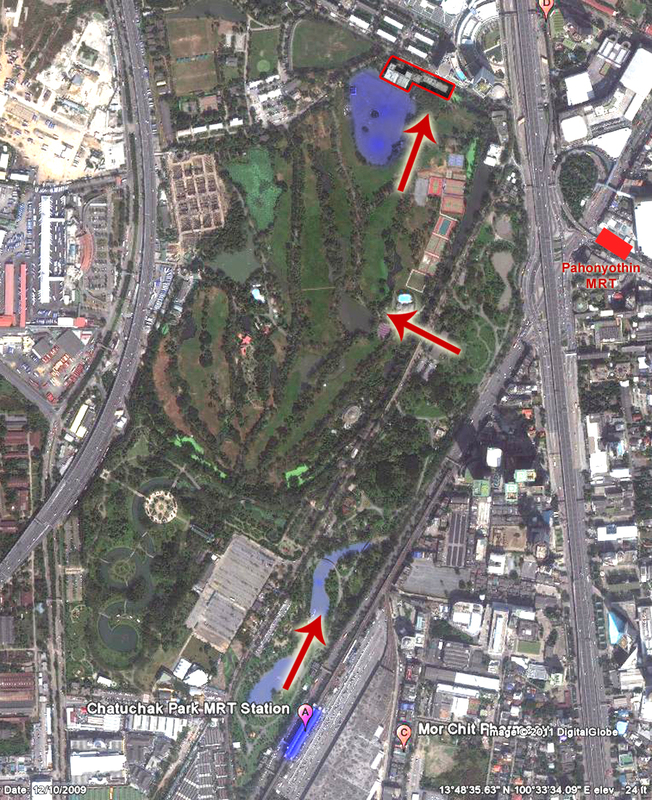 Walk East and go down Sukhumvit 23 for 336 meters (thanks Google Earth). Turn left into the Tai Pan Hotel. Restaurant is on the ground floor as you enter the building. Make sure you come to say hello and join the group! You should know our regular guest meditation teacher Jeff Oliver by now. Some years ago he wrote a book … even though his teaching style has moved on since then, he is still happy for people to download if they find it useful. These two files outline Vipassana meditation as taught by Jeff in retreats and workshops, based on his time with Revered Burmese master U Janaka. Jeff has an easy going style and presentation, using accessible language and including lots of good tips for the keen meditator. Enjoy. Any comments or feedback can be added to this blog or sent via the Contact page to be forwarded to Jeff. Vicky and Charlotte Weber of Lotus Star are holding Chakra Balancing meditation sessions on Tuesday 4th Oct and Monday 10th Oct. This kind of meditation relies heavily on visualisation – which many people find easier than Vipassana. Events are free of charge, but please consider a donation which will go to the orphanage. Received information is as follows. Donation to support Pattaya Orphanage is much appreciated. Meditating on our 7 main chakras is a very powerful way for us to heal ourselves physically, emotionally and mentally. It is very easy to learn as you are guided every step of the way. Chakras are the energy centres of your body, we all have them. Keeping them balanced is an important part of being healthy and happy. During a Chakra balancing meditation you will balance one chakra at a time, visualizing each one energized , open, glowing and radiating it’s colour. Chakra balancing guided meditation is a great way to heal your mind, body and soul. Further more you feel lighter and happier after the meditation. Oneness Deeksha energy transfer stimulates the 2 frontal lobes of the brain and thereby it balances the brain but it also opens up to cosmic energies, the divine and integrates you in the oneness. “The central understanding of Oneness is that inner transformation and awakening into higher states of consciousness is not an outcome of a mere intellectual understanding but through a shift in consciousness whereby one’s experience of life is redefined at its core. Notes on ‘Why the Prodigal Son had to Wait‘ – seventh dhamma talk in the 2011 Dhamma Talk Series: The Dance of Emptiness. There are many ways to approach the topic of Kamma, this time the emphasis is on the question – does the universe offer forgiveness, or retribution. This is a question that comes up when comparing Buddhism with Christianity – you see in Thailand signs that Buddhism will have you pay for past bad action (Baab in Thai), where Jesus will forgive. 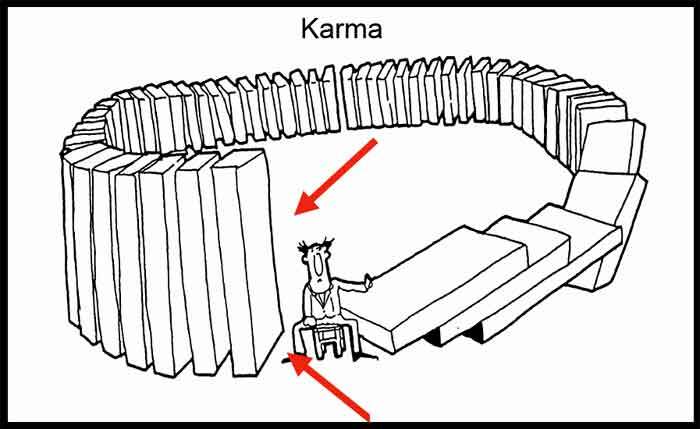 The words Kamma (Pali), and Karma (Sanskrit) mean the same thing. The word kaama however, of the famous Kaama Sutra, means sense desire – usually as lust. So although Kamma means ’cause and effect’ – it does not mean every kind of cause and effect. If you touch paper to a candle flame, it will burn. 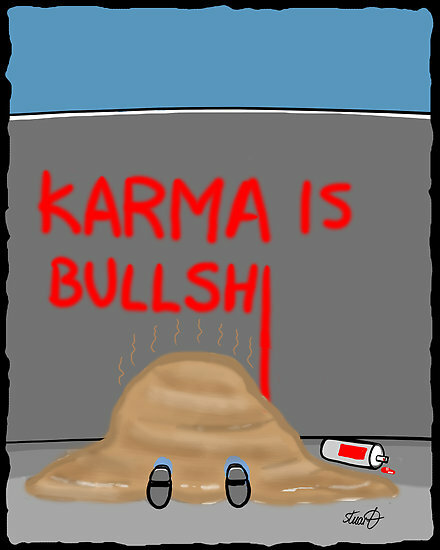 Cause and effect, but nothing to do with kamma. If you use a candle to burn someone’s property however, this has a moral aspect, and an intent, so will have a kammic consequence. If your car gets stolen, this is because you left the keys in, or parked it in the wrong place, not a consequence of your previous actions. It is not kamma. One teaching talks about the way you act in this life, affecting your next life – if you are respectful here, you are influential in the next life; if you are generous here, you are wealthy in the next life etc.. Putting aside the question of rebirth for now (that’s a whole other topic), one of the parts of this causality is if you are harmful to others, in the next life you will be sickly. So the idea came up that all physical feeling (especially illness) is due to kamma. When the Buddha was confronted with this he said “Stop, you are taking the teaching too far. You are taking it beyond what is commonly understood.” There are bodily feelings caused by the bile system, by the bodily humours, change of seasons, from taking uneven care of the body, from ‘attacks’ and from kamma. For the keen who want to get back to the original suttas (teachings) then there is a comprehensive guide here. So we have to be careful when we are trying answer ‘why?’. Good and bad things happen to yourself and others, but to try and answer why? is not the right approach. Unless you have vast powers, you cannot figure out why different things happen to you. In fact, trying to give a reason for everything is a way to avoid the truth – you don’t know. It’s comforting to have a nice handy explanation for everything – this happened because it is God’s will, that happened because of kamma etc.. But this is jsut a way to avoid the uncomfortable fact that we cannot figure out all the ‘why’s. One piece of research that demonstrates our tendency to find the wrong explanations for what happens, is the Fundamental Attribution Error. In short, people tend to ascribe internal reasons for their own success (I passed an exam because I am clever) and external causes for their own failure (I failed the exam because my teacher was no good). Similarly we ascribe external reasons for other’s success (he has money because he was very lucky) and internal reasons for other’s failure (she is ill because she is an unpleasant person). When it comes to New Age ideas – they tend to over ascribe the world being driven by your own actions – thus my car got stolen because I attracted such with my negativity, or I fell ill due to my poor spiritual conditions. Similarly we often hear the idea that ‘whatever happens is God’s will’, or in the New Age style, everything happens to teach me a lesson. From these examples we can see that really, you can’t go figuring everything out like this, and if you try you are taking the teaching past what is common sense. The principle of Kamma was pretty clear. Be careful with your actions, because they shape your future. There is no need or profit in trying to figure out the Why Why Why of everything that happens to you. Now we come to the story of the Prodigal Son, which demonstrates in parable the idea of the universe (or God) as having the nature of forgiveness. Note that both Buddhism, Christianity and Faerie Tale seek to demonstrate ideas and wisdom by the means of story. This story, along with the Lost Sheep, and the Lost Penny, are ways of showing the fogiving nature of the universe. This is a very old story, belonging to many traditions. ‘Prodigal’ means ‘wasteful’. Below, the key points are in bold, for those who prefer to just skip through the text (though it is better to read the whole story properly). There was a man who had two sons. The younger one said to his father, “Father, give me my share of the estate.” So he divided his property between them. Not long after that, the younger son got together all he had, set off for a distant country and there squandered his wealth in wild living. After he had spent everything, there was a severe famine in that whole country, and he began to be in need. So he went and hired himself out to a citizen of that country, who sent him to his fields to feed pigs. He longed to fill his stomach with the pods that the pigs were eating, but no one gave him anything. When he came to his senses, he said, “How many of my father’s hired men have food to spare, and here I am starving to death! I will set out and go back to my father and say to him: Father, I have sinned against heaven and against you. I am no longer worthy to be called your son; make me like one of your hired men.” So he got up and went to his father. But while he was still a long way off, his father saw him and was filled with compassion for him; he ran to his son, threw his arms around him and kissed him. The son said to him, “Father, I have sinned against heaven and against you. I am no longer worthy to be called your son.” But the father said to his servants, “Quick! Bring the best robe and put it on him. Put a ring on his finger and sandals on his feet. Bring the fattened calf and kill it. Let’s have a feast and celebrate. For this son of mine was dead and is alive again; he was lost and is found.” So they began to celebrate. Note the main ideas – that you are given an inheritance of life, health and wealth, but the opportunity is squandered. Being in service of the pigs, means you are captured by your own greed. But the simple act of returning is enough to end your misery. Note that in this story also, you are not forgiven, nor escape your unpleasant circumstance, until you voluntarily return to the father. Note that this teaching was to prompt people to practise forgiveness and loving kindness to all, including one’s enemies. Then the moneylenders, who were deceived, in their wrath took the son into slavery that he might by his daily toil pay back to them the money which he had borrowed. And then ceased the eating and drinking and the daily excesses. From morning until night by the sweat of his face he watered the fields, and all of his limbs ached with the unaccustomed labour. And he lived upon dry bread, and had naught but his tears with which he could water it. And three days after he suffered so much from the heat and from weariness that he said to his master: “I can work no more, for all my limbs do ache. How long would you torment me?” “Till the day when by the labour of your hands you pay me all your debts, and when seven years are passed, you will be free.” And the desperate son answered weeping: “But I cannot bear so much as seven days. Have pity on me, for all my limbs do burn and ache.” And the wicked creditor cried out: “Press on with the work; if you could for seven years spend your days and your nights in riotousness, now must you work for seven years. I will not forgive you till you pay back all your debts to the uttermost drachma.” And the son, with his limbs racked with pain, went back despairing to the fields to continue his work. And he went to his father’s field and watched every day over the work of his father’s labourers. And he never made his labourers work hard, for he remembered his own heavy labour. And the years passed, and his father’s possession increased ever more-and more beneath his hand, for the blessing of his father was upon his labour. And slowly he gave back tenfold to his father all that he had squandered in the seven years. And when his father saw that his son used well his servants and all his possessions, he said to him: “My son, I see that my possessions are in good hands. I give you all my cattle, my house, my lands and my treasures. Let all this be your heritage, continue increasing it that I may have delight in you.” And when the son had received his inheritance from his father, he forgave their debts to all his debtors who could not pay him, for he did not forget that his debt also had been forgiven when he could not pay it. And God blessed him with long life, with many children and with much riches, because he was kind to all his servants and to all his cattle. Here we have a slightly different idea – that you pay for your misdeeds, but only in part. If you ‘repent’ or change your attitude and intentions, then seven years of debt will incur only seven days of torment. This is very similar to other traditions, such as Buddhism which has the story of the stolen goat: if your goat is stolen and you catch the thief, if he is a poor man you give him a beating. If he is rich, you ask for your goat back. Or a poor man who steals a penny is thrown into prison, where a rich man who steals a penny is not. You are the one with the goat – and when your kamma catches up with you, if you are rich (in virtue/morality) then it won’t have much affect on you. But if you are poor in virtue, then the kamma will give you a beating. It is the same idea: If you are an upright person, and are willing to be righteous, then you will pay little in kammic debt for past bad deeds. The Sanskrit Yogasutrabhasya III 22 has the description of kamma as like a wet cloth – if it is rolled up it won’t dry fast, but if it is laid out in the sun, it can dry faster – so too does kamma quickly expire in a good person. Meanwhile the poor son, hired for wages here and there, unexpectedly arrived at his father’s house. Standing by the gate, he saw from a distance his father seated on a lion-couch, his feet on a jeweled footstool, and with expensive strings of pearls adorning his body, revered and surrounded by priests, warriors, and citizens, attendants and young slaves waiting upon him right and left. The poor son, seeing his father having such great power, was seized with fear, regretting that he had come to this place. He reflected, “This must be a king, or someone of royal rank, it is impossible for me to be hired here. I had better go to some poor village in search of a job, where food and clothing are easier to get. If I stay here long, I may suffer oppression.” Reflecting thus, he rushed away. A messenger said to the son, “I set you free, go wherever you will.” The poor son was delighted, thus obtaining the unexpected release. He arose from the ground and went to a poor village in search of food and clothing. Then the elder, desiring to attract his son, set up a device. Secretly he sent two men, sorrowful and poor in appearance, saying, “Go and visit that place and gently say to the poor man, ‘There is a place for you to work here. We will hire you for scavenging, and we both also will work along with you.’” Then the two messengers went in search of the poor son and, having found him, presented him the above proposal. The poor son, having received his wages in advance, joined them in removing a refuse heap. Then the father became ill and, knowing that he would die soon, said to the poor son, “Now I possess an abundance of gold, silver, and precious things, and my granaries and treasuries are full to overflowing. I want you to understand in detail the quantities of these things, and the amounts that should be received and given. This is my wish, and you must agree to it. Why? Because now we are of the same mind. Be increasingly careful so that there be no waste.” The poor son accepted his instruction and commands, and became acquainted with all the goods. However, he still had no idea of expecting to inherit anything, his abode was still the original place and he was still unable to abandon his sense of inferiority. Here too there is a period of ‘redemption’, but it is due to the Son’s own guilt making him feel unworthy of the father’s riches. This means that Enlightenment is our birth right, but we are restrained by our own limited view of ourselves. Mahayana Buddhism emphasises this point – that you are already Enlightened and do not have to go through thousands of lifetimes of purification to realise it. As the son starts to grow and act more like the rich man he should be, so he feels more worthy – Mahayana teaches that if you act as if you are enlightened, it makes it easier for Enlightenment to arise. It should be pretty clear here, the general point. Kamma is not a form of retribution, and a debt that we must pay in full, act by act. The affect of kamma changes depending on what kind of a person you are. Bad deeds are quickly expunged if you are a ‘large’ person, but long tormenting if you are a ‘small’ or constricted person. You can’t go trying to figure out exactly why things happen the way they do – the teaching on Kamma is purely to make you be careful of your actions, as they have effects on you in the present or future. Notes on ‘All the beasts’ – sixth dhamma talk in the 2011 Dhamma Talk Series: The Dance of Emptiness. The journey is for the Hero – in all tales the hero needs a weapon, a focus for effort and energy. The weapon is the ‘Ballast of the Ocean’ which means by guile or might it will get the job done. So meditation is not just about peace and quiet – properly wielded it is a tool that marshals energies and determination you would not think you possess. Every year we do one faerie story, and examine how it is to be understood as a teaching. ‘The Grateful Beasts’ is a story, on the face of it rather gruesome, with a startling message of empowerment. The Faerie tale this year is all about Empowerment! It is a story recorded by the great mythologist Andrew Lang, in The Yellow Fairy Book. Lang was a real expert on story telling, and wrote a number of books about the topic. Many people ask if the meanings in Faerie Tales are really as deep and explicit as claimed – and the answer is yes. These compilers and writers knew exactly what they were doing. Styles of story vary through the world. The Hebrew tradition (basically the Old Testament stories) was highly evolved and rather complex. Different things had certain meanings, such as the right hand (action) and the left hand (receiving), or hair, which represented purity and innocence (which is why Samson became weak when his hiar was cut off). Another highly stylised form of story is the Anansi, which originated in West Africa, but became most well known in Jamaica. One can trace story telling lineages in a similar way to tracing languages. 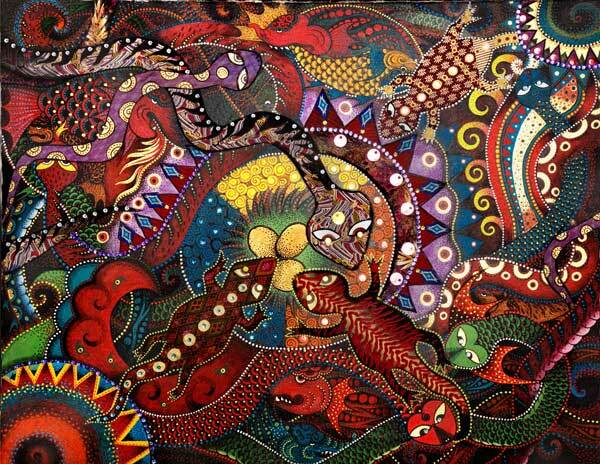 One highly specialized form of story was spread around the world by the Ariyan people. They were a nomadic race that hailed from the steppes of Russia. They had a ‘campfire’ form of story telling that they spread around the world, manifesting in the Greek and Roman myths (which merged with the former Eleusinian Mysteries), Indian story in the Vedic tradition, and most interestingly in the Faerie Tale tradition of northern Europe. Many story telling traditions were designed to explain nature – such as Apollo (the Sun) having his sheep (clouds) stolen by Mercury (the wind). Other’s were designed to record nuggets of wisdom/morality, such as the Jataka tales. While still other traditions provided role models of guile or cunning. The Faerie Tale however was something different. Every aspect you find in a true Faerie Tale is an aspect of yourself. The interplay of characters and objects represents what happens in your own psyche. Thus where a hero battles an Ogre – you can bet that the Ogre represents some aspect of yourself, like greed or hoarding (Dragons). But there is one other aspect of faerie tales that makes them interesting to Buddhism. They had the idea of Enlightenment. The idea of a higher good, that is a) ever providing b) without cost c) inherent in everyone. While the story tellers were not enlightened this motif stayed very prominent in the tales. In fact, this is where the Buddha himself got the idea. When he went to sit under the Bodhi Tree, he already knew that there was something called the Undying or Immortal (Amata), and it was this that he was seeking. This idea had come from the Ariyans. One point to bear in mind. Story was never meant to be a factual record. It was supposed to convey an idea. Only in the last few hundred years (pretty much since Shakespeare) has story become a narrative that is supposed to be read as an interplay of actual characters, historical or fiction. A true Faerie Tale is a cacophony of vivid images. They work on an unconscious level, and that is how they should be heard. They do not make much sense otherwise. The idea is that children understand and relate to the images in the same way as people dream – a dream is a series of vivid images that don’t make a lot of sense. Yet dreaming helps people sort through their relationship to the world. There is a huge body of research into the psychological effects of dreaming, and it seems to be a necessary part of human psyche. Usually tales have an array of striking metaphors, and they will mean different things to different people. Children will often relate to one image for some years, and then get a new favourite. It depends what is important to them. When we look at the meaning of Faerie Tales, we can pinpoint certain images and the interpretation, but the meaning belongs to the listener. The topic of Faerie Tales is the transformation of consciousness. The ‘old you’ must die for the new consciousness to arise. This occurs through a series of tasks that needs to be completed, often with a special tool or weapon that ordinary people would overlook. What you should do (and we know you love to short cut too much to follow the advice) is read the Tale raw first, and then repeat with the notes below. The story is here. There is always some kind of poverty, sickness or bad deed at the start of a tale. It gives a sense of things ‘not quite right’, that will get worse as the wrong solution is tried. It is often when ‘world’ images (a mother, a cow or a barren land) start the story that the tale is about enlightenment. Problem: seeking their fortune. The Brothers: the wrong answer to the problem viz, greed and selfishness. Remember all 3 brothers are parts of yourself. Interesting that the other brothers were also good looking. Not like the Ugly Sisters in Cinderella. Also note the description of Ferko – this shows the Ariyan roots. Sleep is ignorance, not seeing. Ignorance and Innocence are closely related in Faerie Tales, as both come from a place of not understanding. Both have to be shed for the transformation to arise. Going into the desert, or the scary forest is a ubiquitous theme. It is the venturing outside of your safety zone. Regarding enlightenment, the yogi must venture into the uncharted unconscious, the ‘inner world’ in order to learn. This means doing without the pleasures of the senses – thus there is a period of renunciation. Jesus had to go into the Desert for 40 days. Buddha spent 6 years in ascetic practises, Jack (of the beanstalk) was sent to bed without any food …. There will be the ‘desert’ period, the ‘wrong solutions’, the tasks, and the temptations in most tales. Legs represent ability (see Forest Gump), and shoes represent action, often sexual action. Arms represent work. There is also the idea of ‘spiritual consolations’ which we find described by St Teresa D’Avila and St John of the Cross – where the meditator asks for some consolation from God for the trials that they are undergoing. The consolation is very meager until you have undergone many trials. Remember that all sides are YOU. You try the selfish approach and also the honest approach all the time. Story, like life lessons, is not in linear time. So Ferko here has gone into the desert, but gave into temptations. Later he will again be tempted 3 times, but will not give in. You are in the desert. You are in emptiness – no lovely foods, no music, no sense pleasures. The worldly view is this is a waste of time. however, we are shown in vivid imagery that the emptiness will give you clear vision, and heal sickness that is beyond possibility. Ferko has undergone the first stage of transformation and is in a peaceful place – not like the forest that Snow White had to venture into. The mind is empty, and peaceful, but still needs to return to the world to make good the transformation. Water is the unconscious. As a sea, it has monsters, as a still pond it is pure and clear. You have to tame the beast in the sea, to purify the water. The Buddha also used these analogies. He talked of the ‘Ocean of Sense Desire’ that needs crossing, and Enlightenment as a still pool in which you can see everything. Why had the raven been shot? Any guesses? Note the death imagery. The old self has to die, for the new self to arise. Animals are your desires. Can be all kinds of animals, depending on the story. Remember why the Israelites were cast from the desert where they were fed the heavenly bread manna? They desired the flesh of animals. Mice, ants, bees, dwarves – represent doing work. Ferko is not afraid of the wolf – he has undergone much of his transformation already. Birds are spirituality, as they alone ascend to the heavens. Here the big bird is spirituality gone wrong = religion. Bees are very special in story. They give honey or a sting – which is spirituality being beautiful, but also a sting if you act badly (conscience). Roses are similar with the scent/thorn. Lemons give sweet, but also sour bitter. Tasks are usually 3 in Faerie Tales, and 12 in Greek myths. Completion of the tasks brings great reward, and power over ones oppressor. A palace, a cottage .. usually represent ones own self, while the king or the witch who inhabit the dwelling are the ego. In this tale, this particular motif is not strongly developed. The bold phrase is significant for meditators. After the bliss of emptiness you must return to the ‘world’, which now seems sickly. Note how he sleeps peacefully, even thought things are going wrong. Note the princess image. The split of male/female is a sense of incompleteness, that is only healed when one is whole again. Ferko and the Princess are not two separate people, but one person who is to be made whole again. Note also the tear motif – it was dew drops that restored Ferko’s vision earlier. The bee as mentioned, is spirituality, which enters through the ears. So she sits on his shoulder and appears as a whisper. The Buddha’s followers were called ‘Savaka’ – Hearers. An Apostle is one who sends the word. The palace is the new self, that has to be built when returning to the world from the emptiness and blindness of the inner journey. Now the self has to be provide for. Yes, Ferko is not exactly convincing the King that he is not a magician! She is the prize in the heart of things. Note Ferko could easily have wondered off while the bees were building the palace! But the Princess is the heart of purity, that one must attain, even if risking death. Remember that all the motifs are parts of yourself. Ferko riding the back of the wolf is all the parts coming together in the proper way. Horses usually represent thought, and in the Journey to the West (classis Chinese tale) the monk often falls from the horse – which is not having your various aspects in harmony. Ferko is not tempted this time, as he had by the bread previously. Ok, so Faerie Tales work when you have hundreds of them, building certain motifs in your mind – images that you can cling to and relate to, that act as a guide. You might do meditation and wonder sometimes why/what you are doing – the simple image of Ferko being blind might be a useful image to guide you. Or whatever your problems are, you can find an image in Faerie Tale. The main message of this tale is desire transformation. Few tales have such a vivid image of empowerment. Usually the hero wins by guile and cunning. Thus earlier we saw Ferko helped by the bee first – usually it is the animal who helps first, being a lesser part of the being, and the more refined motif (Bee) helps later. So the image is striking – enduring a period in the ‘desert’ of the senses, you will be able to marshal all your power. There is a similar idea in Buddhism – of a poisonous plant being a fearsome thing to a beginner, avoided by a middling meditator, and turned into a medicine by an advanced practitioner. Thus Desire is not always the bad guy. It can be marshaled, controlled, tamed and put to proper use. If any of the images jump out at you, do leave a comment below. For comparison, see this story from Norway, that follows a very similar pattern.